Team Transplant is a great way to stay fit while raising awareness for organ donation. Team Transplant will be cycling at Elephant Rock Cycling Festival in June at Castle Rock, CO. 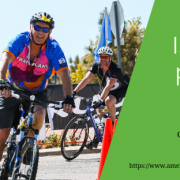 If you aren’t local to Colorado, or you’d like to participate in another cycling event elsewhere, consider forming your own team! We can help get your team set-up. No excuses! 2019 is the year to get fit, give back and help save lives! For more info, visit our Team Transplant page. To join the Team Transplant community, like us on Facebook! https://www.americantransplantfoundation.org/wp-content/uploads/2019/01/Lets-start-fresh.png 312 820 Anastasia Henry https://www.americantransplantfoundation.org/wp-content/uploads/2018/04/ATF-circle-logo-3.jpg Anastasia Henry2019-01-15 08:05:042019-01-10 08:06:47Is getting fit part of your 2019 goals?